Did you pay the electric bill? I recently visited the east end of Lake Ontario to photograph. 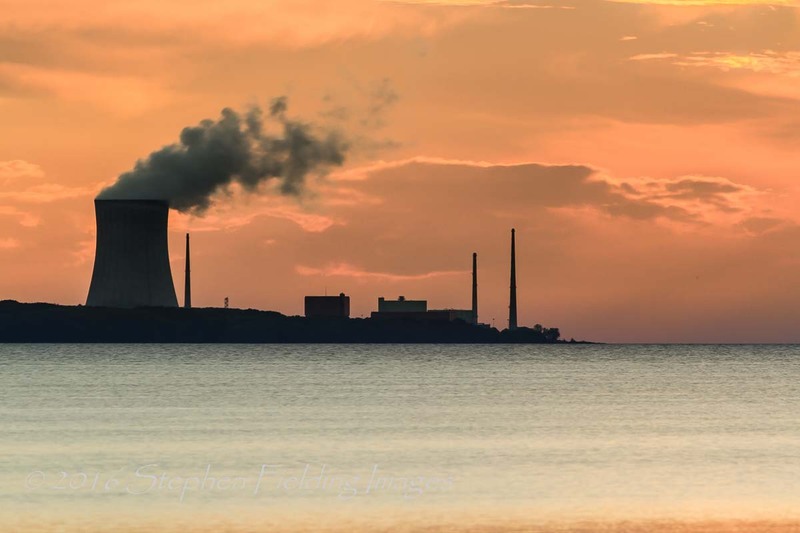 As it turned out, the shoreline presented the best photo opportunities, including a nuclear plant sitting prominently across the water near Lycoming, New York. Richard Heinberg has written extensively about the end of the post-industrial era, due to dwindling energy and other critical resources. Some see nuclear power as an alternate source of energy that is safe and doesn’t add to greenhouse gases. Although nuclear plants do have a mostly safe track record, there have been notable accidents: Three-mile Island, Chernobyl, and the Fukushima Daiichi Nuclear Power Plant, to name the notables. Even though nuclear plants don’t pollute in the traditional sense, they create thermal pollution when heated water used to cool the Uranium rods is returned back to the adjacent lake or river. This results in fish kills and increased algae populations. Furthermore, once the Uranium rods are spent, they will remain radioactive for about 250,000 years. This raises the issue of how to safely store them, and adds a “hidden” cost to this energy source. Developing clean, renewable energy is critical. Nevertheless, it will not fully replace the energy produced from fossil fuels. The 21st century will be one of radical change. Either we can plan that change, or the natural environment will do it for us. The explosive growth of world gross national product and human population are not sustainable in light of increased concentrations of greenhouse gases, diminishing arable land, and other natural resources. We face critical challenges.